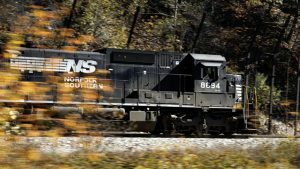 Drones (formally called UAS, for “Unmanned Aerial System”) are becoming an important tool in railroad engineering and maintenance. Keolis Commuter Services, which operates regional/commuter rail for the Massachusetts Bay Transportation Authority, is among the latest to adopt the technology. Why use drones? For Keolis in the greater Boston area, the region is packed with dense forests. In 2015, there were six collisions with fallen trees, and 319 trains encountered slippery conditions due to fallen leaves over a 69-day span. A drone equipped with a high-resolution camera and providing a live data feed can scan a right-of-way for these problems much faster than an inspector in a hi-rail vehicle. A drone can also collect data to inspect inaccessible areas on bridges and buildings. Operating a drone is not as simple as it might appear. The Federal Aviation Administration has some rather strict regulations. A drone must weigh no more than 55 pounds. It must stay within the operator’s line of sight. It cannot fly higher than 400 feet. And it must be flown at least five miles away from an airport. Commercial operation of a drone requires an FAA drone pilot’s license. Currently, Keolis has two certified pilots; five more will be added in 2018. Chief Engineering Officer Pascal Baran (pictured at left, with certified drone pilot Joe DeSantis) is developing Keolis’s is drone program. The company is partnered with four firms: GPI Civil engineering), Pix4D (sdvanced photogrammetry), QuadcopterDigital LLC (aerial mapping and photography) and Delaire-Tech Airborne Sensoring. At present, Keolis is testing one drone, a $1,500 commercial off-the-shelf unit with a two-mile range. Funding is expected to become available for acquiring a much larger, multiple-camera unit that will cost in the neighborhood of $25,000. 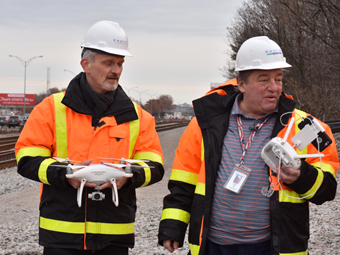 Keolis’s vegetation management initiative is designed to collect, with a drone, precise information rapidly and without disrupting rail operations. 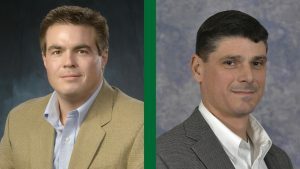 It will track vegetation growth, utilizing periodic data collection, analyze the cost and volume of work, and measure operational efficiency, through off-the-shelf solutions. In the summer of 2016, tests were conducted with two companies over a one-mile territory. The system generated a two-dimensional ortho mosaic and a three-dimensional model of the MBTA right-of-way. It took one hour for each company to fly the zone and one day for the data processing. With this data, Keolis was able to estimate the volume of vegetation that would need to be cut back to keep the right-of-way clear, and protected from falling trees and excessive leaf buildup. The company also conducted a wetlands survey that required only one day with a drone, compared to one week with a surveyor. 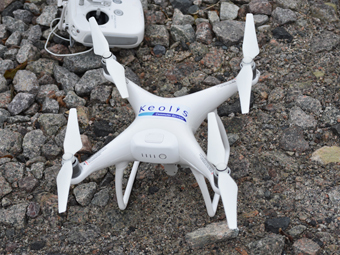 Keolis is investigating several other uses for drones. A drone can be piloted to take high-resolution photos of specific features or possible failures in hard-to-access areas on railroad bridges. It can reduce the duration of data acquisition, and be used to prepare digital information layers. 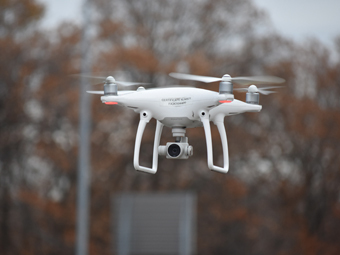 A drone can also provide a live video feed from the field, on a private channel that anybody with a web connection can watch. 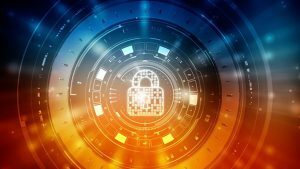 The objective would be real-time information sharing with crisis centers in various locations to improve the decision-making process during an incident. Since taking over MBTA’s commuter rail system a few years ago, Keolis has been steadily improving the railroad’s performance. The internal on-time performance goal is 90%, which is a bit higher than the contracted on-time performance percentage of just below that figure. To assist in the operating railroad, Keolis has put together a “Visualization Room” lined with performance data charts. Data is broken down into “on business” and “in business” areas. The latter tracks such metrics as on-time performance, PTC implementation, maintenance-of-way programs and mechanical programs. 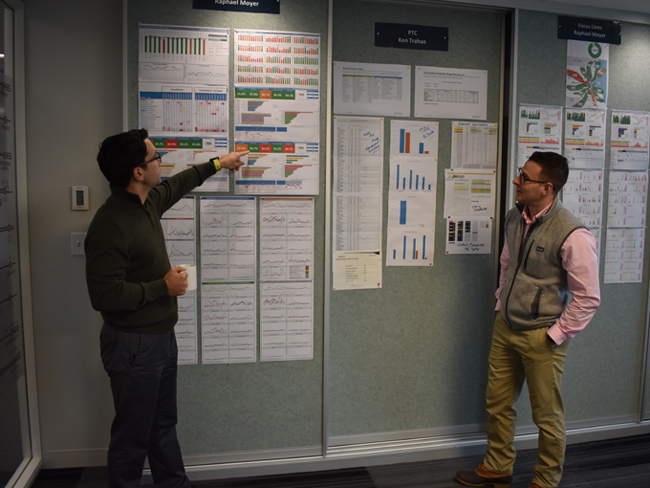 Information is shared among departments, creating synergies for improving processes that ultimately impact MBTA customers. 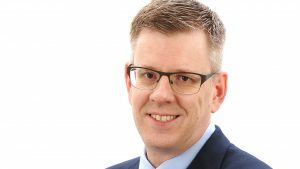 David Walker, who spent 12 years with British passenger railway operator GTR on the south side of London and a recent arrival at Keolis, runs service planning and contracting. He is looking at innovative ways to market the commuter rail service. “The level of awareness of our services has not been as high as we would like it to be,” he says. “Our goal is to make commuter rail become the first choice for transportation into and out of Boston.” To that end, Keolis is looking at such areas as digital marketing. It also plans to make a significant investment in a state-of-the-art fare collection system. Positive Train Control on MBTA’s regional/commuter rail system is a $476 million investment and a challenge to implement. Good progress has been made, according to PTC Project Director. Ken Trahan, formerly Chief Mechanical Officer. Ansaldo STS is the prime PTC contractor, installing its ACSES II on the system’s north side, and cab signal-compatible ACSES on the south side, which is shared with Amtrak. Installation, testing and commissioning encompasses 394 route-miles, 225 vehicles, 280 wayside locations, up to 6,000 transponders, four I-ETMS base stations, 12 I-ETMS access points, and 230 miles of fiber-optic cable. Wabtec is supplying the onboard I-ETMS technology. Locomotive installations are currently at the 50% completion level, and six control cars per week (of a fleet of 92) are being equipped. Live testing will be conducted in September 2018 on the Stoughton Line line to New Hampshire, with the goal of obtaining a waiver from the FRA to complete PTC by year-end 2020.